I am writing how I spent the new year's eve here. Now I would like to show the picture (pic.1). 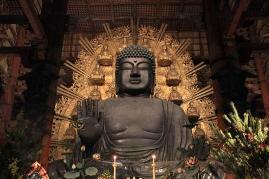 This is the picture of Tosyodaiji taken at the year crossing. and we can go in without fee! That's why I go there by motorcycle to take pictures even it is COLD SO MUCH. I also visited some temples and shrines, and these were so beautiful(pic.2). I felt again how beautiful Nara is. Now Nara has cold days, but it is good seasons to visit. we have some events, and you might see Nara dressed with snow if you are lucky. That is one of my dream to guide people and see the snow scenery. Our NSG has already launched our activities in 2013. 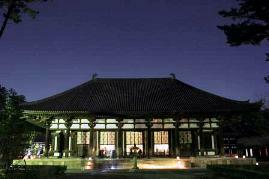 We welcome you in Nara, and Japan!